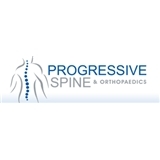 Progressive Spine and Orthopaedics (Englewood) - Book Appointment Online! Great Doctor! I will definitely stick with this office and recommend him to family and friends.